July 2009+ versions of the QI Macros remove this menu automatically. and delete Excel12.xlb (this file stores the old menu). Excel has disabled one or more of the QI Macros files. The process for enabling a file is different depending on your version of Excel. Excel 2002 Instructions - Hold down Ctrl-Shift Keys and press "Q". This will manually load the menus in Excel 97-2003. If your folder is missing the .xlam file, then close Excel and reinstall the QI Macros. If your XLStart folder contains the files, then Excel has disabled them. See above instructions. You may have Macro Security set too high. Click on Tools-Macros-Security and set to medium or low. You may have Addin security set too high in Excel 2007-2010. 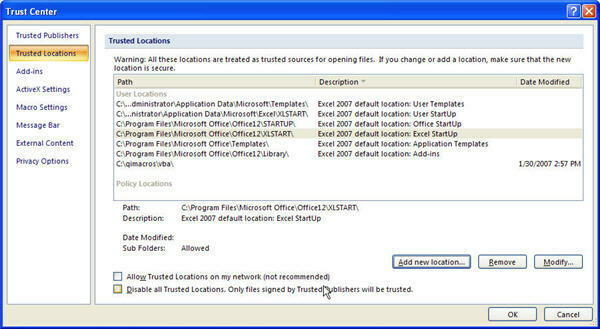 Click on the Office Button-Excel Options-Trust Center-Trust Center Settings-Addins, and uncheck both boxes. It's possible that Visual Basic For Applications (VBA) was not installed or is disabled. To check, right click on any sheet name and look at the menu. If "View Code" is grayed out (see below), VBA is disabled or not installed. To enable VBA, you may need to 1)) get into the registry (per Microsoft) of 2) install VBA. Start Excel - you should see the QI Macros menu in your Excel ribbon. You have renamed the qimacros.xlam file to some other name (e.g., qimacros1.xlam). When you do, the menu cannot find the menu text. Solution: Rename the qimacros file in c:\program files\microsoft office\office11\xlstart to qimacros.xlam. Excel 2003: Main menu appears, but there are no choices; just a blue square. Solution: Close Excel. Go to c:\program files\microsoft office\office11\xlstart and remove the ~tmp...xlam. Reopen Excel and the problem should be gone. During the installation process, the QI Macros will identify the International version of Excel you are using and load the appropriate language. This language will be used for the pull down menu and any prompts or error messages. Like the help files and user guides, these translations were done mechanically. If you find any errors or unclear translations, please email us suggestions. When changing the default language in Excel 2010 to Chinese, if you see Chinese symbols, instead of words, e-mail support@qimacros.com and we will provide you with a new QI Macros 2010 Menu. If you press CTRL-SHIFT-Q, Excel 2010 will load the 2003-style Add-in Menu, which is translated. Windows 2000: For some reason, Windows 2000 "auto opens" the macro twice. It won't affect your performance and either menu will work. I've opened a ticket with Microsoft. Win XP, 2003: You probably have installed the macros and created an alternate startup link to the macros (you load them twice). Go to TOOLS-OPTIONS-GENERAL and clear the Alternate Startup Folder entry. Win 2007-2010: You probably have installed the both types of menus: qimacros2003menu.xlam and qimacros2007menu.xlam or qimacros2010menu.xlam. 2.) Click Find Next. Change the displayed Data value from 1 to 0. 3.) Then press F3 to go to the next entry, and again change the Data value from 1 to 0. Repeat this until there are no more entries attributed to NoExtensibilityCustomizationFromDocument containing a 1 instead of 0 in the Data value. (You may find 0 values along the way that can be ignored. However, keep searching until all occurrences have been viewed). QI Macros Menu shows "Order QI Macros"
Resolved with July 2009 Release. and then Cancel before exiting Excel, the menu will disappear, because we have to remove the menu prior to exit. Simply exit and restart Excel. If you have two or more versions of Excel on your PC, the installer assumes that you want to put the QI Macros in the most recent version. Click on Start-Run and type "regedit"
Scroll down until you find Excel.Application and click on it's + sign. Reinstall the QI Macros (this won't work with the 30-day trial). Alternatively, find where the QI Macros were installed and move them to the correct folder. - c:\Documents and Settings\User name\Application Data\Microsoft\Excel\XLStart. - c:\users\User name\AppData\local\virtualstore\program files\Microsoft Office\Office14\XLStart. Simply delete all of the *.xlm or *.xlam files from this folder and open Excel to bring up the new version. Also: According to clients, the Excel Y2K updates from Microsoft for DateWatch and DateFix can cause this error. To disable these tools, go to Excel's TOOLS-ADDINS page and remove the tools. Other addins may cause this problem. Turn them off one at a time until you find the culprit. QI Macros menu has recently been updated and re-organized. If you prefer using the original menu, e-mail support@qimacros.com, and you will be sent a file that will automatically switch between the two. Once you have opened your XLSTART folder, you will find a QITemplates folder, along with both a qimacros.xla file. Open Excel – the QI Macros menu has been changed to the original format. 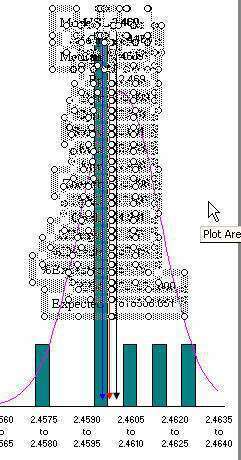 Don't know what caused this for a customer, but I found a way to resolve it using VBA. Download the file by clicking here and it will activate the menus when it opens. 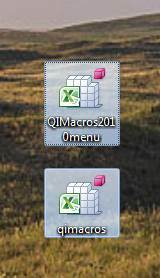 Open this folder and delete qimacros.xlam and QITemplates folder. "I have a version of QI Macros that was released in February of 2016 or more recently, however when I try to run the Data Mining Wizard, PivotTable Wizard, or Word Count in my Excel Professional Plus, nothing happens. Why is this the case???" While we are currently awaiting a fix from Microsoft for this issue, note that all other functionality and tools found in QI Macros are compatible with Excel 2016 Professional Plus. If you have recently upgraded Risk Solver or other Addin, the July 2009 release of the QI Macros was revised to prevent these most of these kinds of conflicts. Workaround: Open Excel (to load addins), then open files. I have spoken with Excel techsupport and they have no insights or workarounds. If you receive the VBA error message, "Class Not Registered," this may be because there is a missing or incorrect Microsoft Windows registry entry for the Dynamic Link Library Fm20.dll. Register the Fm20.dll file: click here for more information. - OR - reinstall Microsoft Office, as at least (1) of the files was corrupted. For some reason, Norton Antivirus prevents loading qimacros.xlam. These files grow with every open/close of Excel with the QI Macros versions dated 3/07-9/09. If you would prefer to contact us, we can provide you with a .xlb file removal tool. Changes will be released in September, 2009 to prevent the growth of these files. You may upgrade at: www.qimacros.com/store/. To resolve this problem temporarily, navigate to the folder and right click on the .xlb file and rename it. Excel will create a newer, smaller one as shown in the example below. Clicking on Excel's "Close" button instead of the "Close Window" button to close a file, will remove the QI Macros menu from your toolbar in Excel XP and Excel 2003. To restore the QI Macros Menu, simply hold down the Control-Shift Keys and press Q. When you open one of the Microsoft Office programs listed at the beginning of this article, the program may open slowly. This behavior may occur if Norton AntiVirus is installed on your computer. It will scan the QI Macros EVERY time you start Excel. DllUnregisterServer in C:\Program Files\Norton AntiVirus\Officeav.dll succeeded. NOTE: If the command is unsuccessful, search your computer's hard disk for the Officeav.dll file. The file may be located in a different folder. Go to c:\qimacros and create a folder called xlstart. Go to c:\program files\microsoft office\office\xlstart and move (not copy) the QI Macros files from the c:\program files\microsoft office\office\xlstart folder to the c:\qimacros\xlstart folder. Move the contents of the xlstart folder not the folder itself. QI Macros files include the QI Templates folder and all of the QI Macros .xlm files including the zqimenu.xlm file. When you open Excel it will no longer see the macros in its startup folder and Excel should open faster. Note: QI Macros pull down menu will be gone. When you want to use the QI Macros, go into Tools/Options/General and type c:\qimacros\xlstart in the alternate startup box. This box is labeled "At startup, open all files in:"
You may need to restart Excel. Excel will open slowly since Norton is checking all of the macros. When Excel opens you should now see QI Macros menu. When you are done running charts, delete c:\qimacros\xlstart from the alternate startup file box. Excel will open faster again. Microsoft knows this is an EXCEL bug, but there is no fix to be found in their support pages. Make sure it is not the .xlb issue listed above. If so, contact us and we will provide you with a .xlb file removal tool. One customer, however, also said to go into Microsoft Outlook-Options-Journaling and deselect Excel, Word, and other files. Remove any unusual files (e.g., resume.xlw). You may have a corrupted installation disk. Excel 2013 Beta versions are installed using Click-to-Run. They use a virtual file system which appears as a virtual Q drive. Unfortunately, you cannot access this drive and neither can the QI Macros. If you installed using Click to Run you have two options. If your Excel is running slow you may want to choose option 2 as this should speed up Excel. Install the QI Macros using the Alternate Startup folder. 2. In Excel, click on File, Options and Advanced to open the window below. Scroll down to the General section and type the QI Macros location (c:\qimacros\xlstart\)in the box labeled "At startup, open all files in:"
3. Close Excel and reopen it - the QI Macros menu should appear in your Excel ribbon. Go to C:Program files/Microsoft Office/Office (10, 11 or 12) and find the zqimenu.xlm file. Right click on the file, select properties, and uncheck the READONLY box. In Column A, about line 16 you will find an IF statement that checks for Book1 before it opens a NEW workbook. Exit Excel and save the zqimenu.xlm file over the existing one in the XLSTART folder. When you start Excel again, it will not open a blank workbook. Go to C:Program files/Microsoft Office/Office (10, 11 or 12) and find the QIMacros.xlm file. In Column A, about line 7 you will find an IF statement that checks for Book1 before it opens a NEW workbook. Exit Excel and save the QIMacros.xlm file over the existing one in the XLSTART folder. Using multiple add-ins within Excel, simultaneously, can be problematic, as such is found when running the IBM iSeries Data Transfer tool while the QI Macros is installed. Double check what version of the iSeries you are running, and that you have enough memory on your computer to run multiple add-ins. Take the qimacros.xlam file out of your XLSTART folder and place them onto your Desktop. This effectively disables your QI Macros software. Start Excel and transfer all of your necessary data, using the IBM iSeries add-in, into a spreadsheet. From Excel, open the QI Macros files to enable the QI Macros software. When you close Excel, this will again disable the QI Macros. Repeat same steps for each data transfer series that you import, if necessary. Press both CTRL keys simultaneously to unlock them (pressing one or the other for longer can cause them to lock from a Windows perspective). 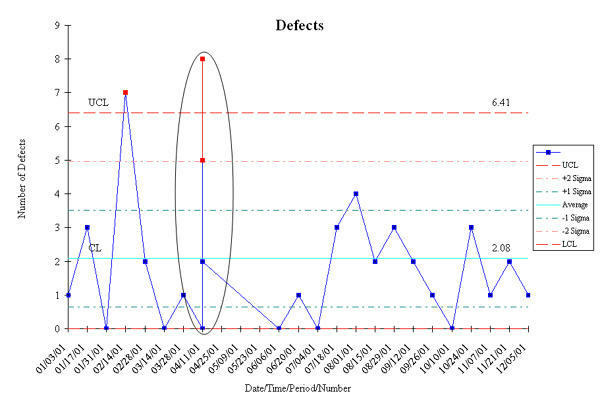 This is usually caused by something unusual in the data or labels you selected when running a chart. If you selected labels and data try just selecting the data. If you are still having problems, send your excel spreadsheet to us at support@qimacros.com. Include a description on what chart you were trying to run and what error message you received. We will take a look at your data and get back to you as soon as possible. Prior to March 2009, the QI Macros counters allowed up to 32,767 data points or rows. If you had more than 32,767 data points, you get a Run Time Error 6 (overflow). After March 2009, counters were changed to long to allow 2 billion. Either a) reduce the number of data points or b) upgrade to a newer version of the QI Macros. March 2009 only. 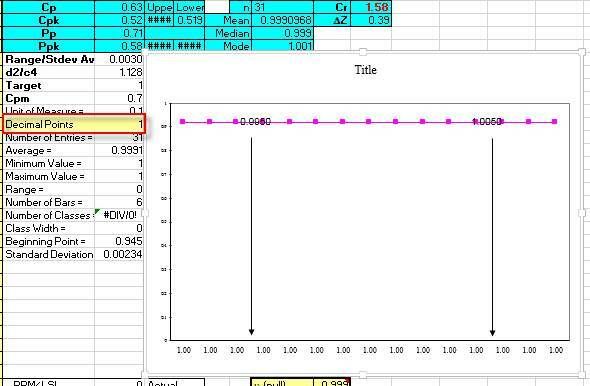 The RunTime Error 9 is caused by trying to access and change the color of a point that doesn't exist on the chart. If there's 25 points and stability analysis tries to change the color of the 26th point, RunTime Error 9. Workbook settings need to be updated. Go to Excel Options > Advanced > Display Options for this Workbook > For Objects, Show "ALL." This will set the line chart as your default chart. Your workbook is setup as Protected/Shared. 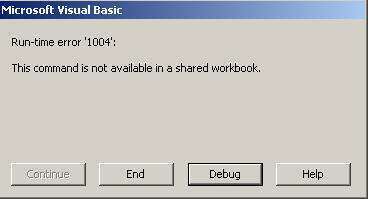 To get rid of this error message, unprotect and un-share the workbook to allow macros to run. Excel 2007's error handling routine seems to have glitches in SP1. I have implemented a workaround as of 9/9/08. Excel will not let the QI Macros add charts and sheets to shared workbooks. You must go to Tools-Share Workbook and uncheck the sharing to allow the QI Macros to run. Where XXXXX can be ANOVA1, TTESTM, etc. Customers have noticed and we were able to recreate a situation where Excel seems to lose track of the Analysis Toolpak. If you click on Tools-Addins, however, you will see that the Analysis Toolpak addin is checked. This is an Excel bug. The Toolpak is checked, but Excel doesn't seem to know it. Click on Tools-Addins and Check the Analysis Toolpak. Confirm that the Data Analysis option is now available on the Tools Menu. The Anova tools should now work properly. Once you've enabled all of the QI Macros disabled items, exit Excel and start Excel. The qimacros.xlam file should open automatically. If your XLStart folder contains some kind of temporary file, delete the temporary file and see if this solves the problem. If your folder is missing the .xlam file, then close Excel and reinstall the QI Macros. If your XLStart folder contains the files, then Excel has disabled them. See Step 2 below. In the urge to be thorough, you may have run setup.exe and then copied these files into c:\qimacros\xlstart and changed the Alternate Start Up File to include the c:\qimacros\xlstart folder. You've installed two copies and Excel is trying to load both. To resolve this problem, go to TOOLS-OPTIONS-GENERAL and delete the Alternate Startup Folder. Close Excel and reopen it. Or, when you go into the Excel Add-Ins menu (File > Options > Add-Ins > select Manage Excel Add-In), is QI Macros selected in the Add-Ins list? If so, de-select, press OK, close Excel reopen Excel. "Could not initialize installation. File size expected=1811939584, size returned=8124582." The .exe file has been corrupted. Load new .exe file from the backup you made of the software. If the corrupted file IS your backup, call QI Macros. "Demo Expired" or "QI Macros over one year old message"
In the U.S., change your regional language to English U.S.
To get a corrected version if this happens shortly after purchase, email us and request the revised setup file. If your copy is over a year old, you will need to purchase an upgrade. We'll send you the corrected one. Have you installed another macro package for Excel (e.g., some other SPC package)? If so, thise may create conflicts that cause this error. Uninstall the other package. QI Macros should then work correctly. These are often caused by invalid data (e.g., text instead of numbers). Check your data. If you still can't find the problem, send your data file and the error message to us at support@qimacros.com. Macro Error at Cell A??? You may get this error if there is No Printer Defined on your computer. Go to START-Settings-Printers and Faxes. Add a Printer (any printer) and then rerun the macro. Excel can't "see" a macro. Some recent Microsoft Excel service releases have tightened up security by limiting the macros and files Excel allows to be opened and run. To workaround this issue, change Excels macro security level. This is caused by file names that are too long. Choose File-Save As and pick a name shorter than 20 characters. Then rerun the chart. If you still can't find the problem, send your data file and the error message to support@qimacros.com. QI Macros can't update your windows registry. When I added the reminder we didn't know that IT departments can lock the registry. Most likely you have two different data sets selected in Excel and it does not know which one you want to use to create the chart. 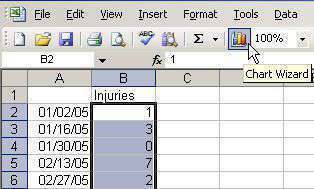 Check your spreadsheet and other spreadsheets in your workbook to make sure you do not have other data fields selected. Note: selected fields are usually highlighted in black. Uninstall the new release of Excel. Start-All Programs-Accessories-System Tools-System Restore to an earlier date before the installation. If you go to Tools-Addins and check Analysis Toolpak, Excel will either turn these tools on or ask you to install them. To check if they have been installed, click on Tools-Data Analysis. 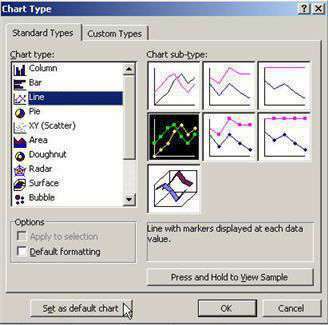 If you cannot see Data Analysis in the Tools menu, the statistical analysis tools are not installed. Use your installation disk to install them. To Install (get your Excel or Office installation disk). On the Tools menu, click Add-Ins. select the Analysis ToolPak box, and then click OK.
You may have to exit Excel and reopen it to find the data analysis tools at the bottom of the TOOLS menu. Office 2000: There may be a Microsoft glitch in Excel 2000 that allows you to install the addins, but still not see Data Analysis. QI Macros Anova and Analysis tools should work, but you may get an "alert" message each time because they cannot find Data Analysis on the Tool bar. Possible addin coflict: One client was using the Megastat addin, which may have turned off the Data Analysis menu item. Excel has the default format for a chart set to include data labels. Solution: Reset the default chart type. After changing the default chart type, when you run a QI Macros control chart, the data labels should disappear. We have four points for the same day and Excel stacks them instead of spreading them. To resolve this problem, visit our Excel FAQ Page. To fix, go into Excel and select File > Print. From there, change the Printer to that of a display that is 8 1/2" x 11" and re-run your chart. This means that your data set in Column A is formatted as "General." Convert the first cell (A2) to anything other than "General." Once you have done so, the Upper and Lower Control Limits will appear. 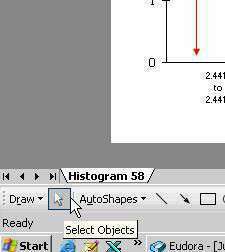 In both 2000 and XP, once you create a histogram with USL and LSL and control limits, if you save the file and reopen it, Excel moves the arrows and text fields to the left. As a short-term troubleshoot, de-select the R1C1 reference style box, press OK, and re-run the Histogram macro. To fix, e-mail support@qimacros.com and request an updated .xlam file, regarding this specific issue. Try inserting a chart using Excel's chart tools. Is this one scrunched? Delete Excel? ?.xlb and any .xls files (like XLUSRGAL.XLS above). I think Excel stored a previous chart file (XLUSERGAL.XLS) in this folder and uses it as a template for something weird. Start Excel. Any charts you create should now look normal. To fix this, simply move the chart to the right and change the “Decimal Points” section to the required value. For some reason, some versions of Excel truncate numerical fields linked to the histdata page. To make the decimals reappear, simply click on the bottom right "handle" of the textbox and drag to increase the size of the box. When you create a chart using either the templates portion or macros portion of the QI Macros, the titles and/or values are stacked on top of each other. We found that if you've accidentally or on purpose set Excel's default chart type to pie or radar chart, the pareto, scatter and dot plot won't work correctly. Set your default chart back to a column or line chart. In Excel XP (System release 0), if you type a name that's too long for the sheet name, Excel reverts to the original name. insert a column between your lot numbers and your data. 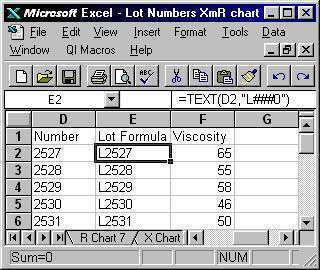 Use Excel's text function as shown below to convert the numbers into text with leading text, in this case L for lot. Copy/Move c:\program files\microsoft office\office11\xlstart\QITemplates to the specified Alternate Startup file location. Error checking causes charts to flicker. Dates set to PC or Macintosh date format. Go to Tools-Options-General and change date format to match your machine. Delete the other XmR sheet (median or range). If you need more than 60 charts. The Six Sigma Simplified and SPC Simplified training DVDs require that you have some kind of media player loaded on your PC. If you have a media player loaded it should automatically begin playing the DVD. The DVD should begin playing. Note: If you have problems with Windows Media Player and Real Player, try WinDVD. Windows XP allows you to set your computer to automatically play a DVD. All of our training videos are in NTSC format. Your VHS or DVD players must be able to play NTSC format to view our videos. If you are not sure which format is used in your country, Google "PAL NTSC" and you will find several sites with information by country and much more information. If you cannot find an answer after searching our site, please complete the following trouble reporting form. We will respond within 24 hours, M-F. Thank you.